I had used a goal tracking bulletin board for many years to keep track of our fluency goals. When I redid my room, I unfortunately didn’t have the space for it anymore. For the last couple of years I wasn’t able to keep track of our goals in a visible way. 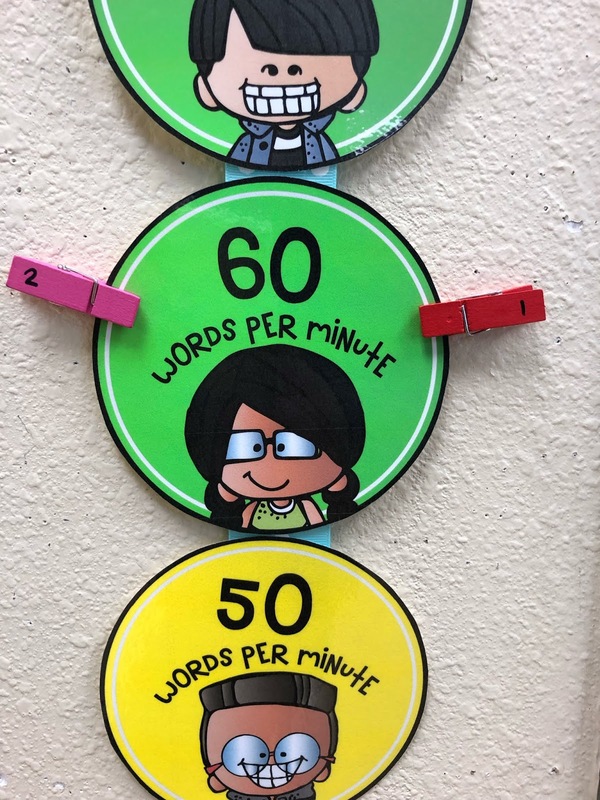 I noticed that my kids were not as excited about reaching or setting their goals as they used to be so I decided that it was time to bring it back. I am so glad I did. My class absolutely loves this data wall! PS. No one is on the bottom. That was an extra clip and I left it in the "Getting Ready" section so it's ready for a new student. If if look close up, you can see that each circle has a goal level. I have the kids put their clips on the chart according to their beginning of the year scores. As soon as I start progress monitoring, the kids can move their clips up to show their progression. My students LOVE this. 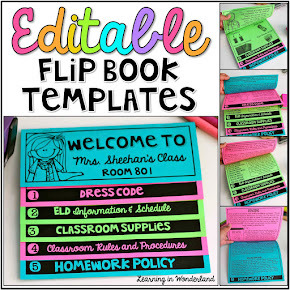 You can add the student names on clips or use numbers. I chose to use numbers. I assign them randomly. The kids then move the clips when they have read to you and met their goal. The clips are placed in their 10’s spot. So let’s say a child reads 67 wpm. She will place her clip on the 60 wpm circle. One way to assemble this chart (the way I chose due to spacing) is to have it go up vertically. 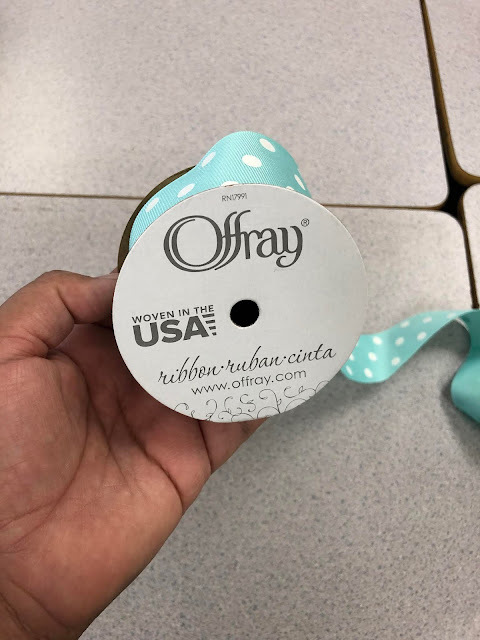 To do so, I grabbed some thick ribbon from Joann’s and I hot glued the circles on there. Another way is to have it going horizontally. You can staple the cards up and then have ribbon or string for the kids to hang up their clips. That is how I used to display my old trackers. 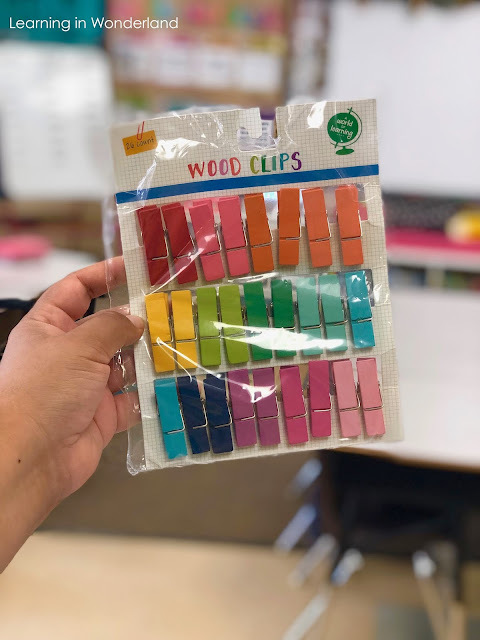 The clips I am using came from Target in the dollar spot. They usually bring them back every summer. You can also find super similar ones at Joann’s. Good ol’ regular tan clothes pins work just as well! I used those for years and the kids were just as excited about reaching their goals. I decided to include this goal tracker in my progress monitoring resource kit you can see below. 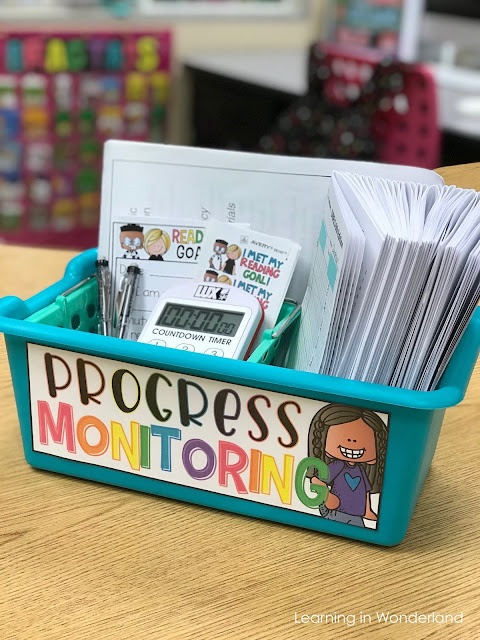 If you would like to learn more about this progress monitoring kit, I have a blog post all about that! Click HERE to read it. 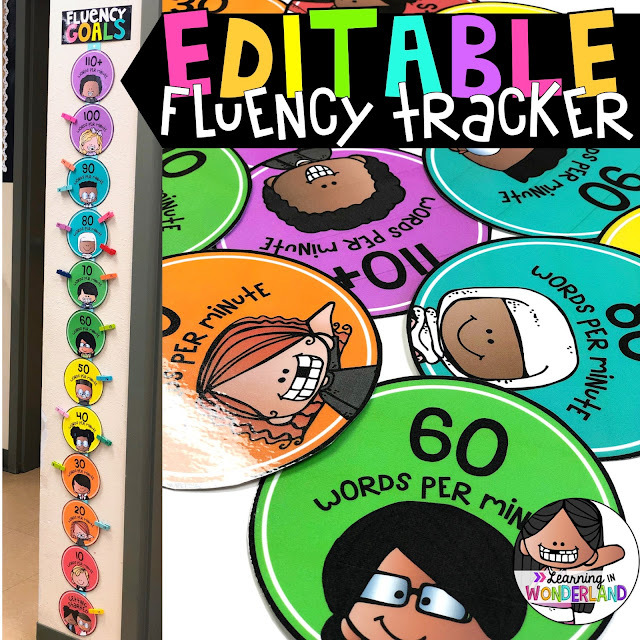 If you just need the fluency tracker on it's own, you can pick up a copy below! Do all students have to be on the tracker? No, I always ask each child if he/she wants to be on the tracker. In the eight years that I had one of these in my room, I never had a child say no. My kids have loved seeing their growth on our chart. I do suggest to ask just to be sure though. Do the kids clip down if their score went down? Yes, I they do. I remind the children that part of success involves ups and downs. MOST times when children have gone down, I’ll ask them if they have been reading and they tell me that they haven’t been practicing. They see a direct correlation with their progress monitoring score and their practice at home. I find this very useful. I treat the subject pretty matter of fact. I don’t get upset or mad at them. I ask the child to think about what they can do to change the result next time. I think if it’s approached with anger or shame, it would be a missed opportunity for reflection and growth. The point of this tracker is to celebrate success, not to ruin a child’s day! If you think it would be harmful to move them down, then you don’t have to. These are your students and you know them best. How often do you move clips? We move the clips every time we have new progress monitoring scores. I like to test my kids at least twice a month. The more consistently you use this system, the better the results. Do you give any incentives for reaching the higher numbers? I do. 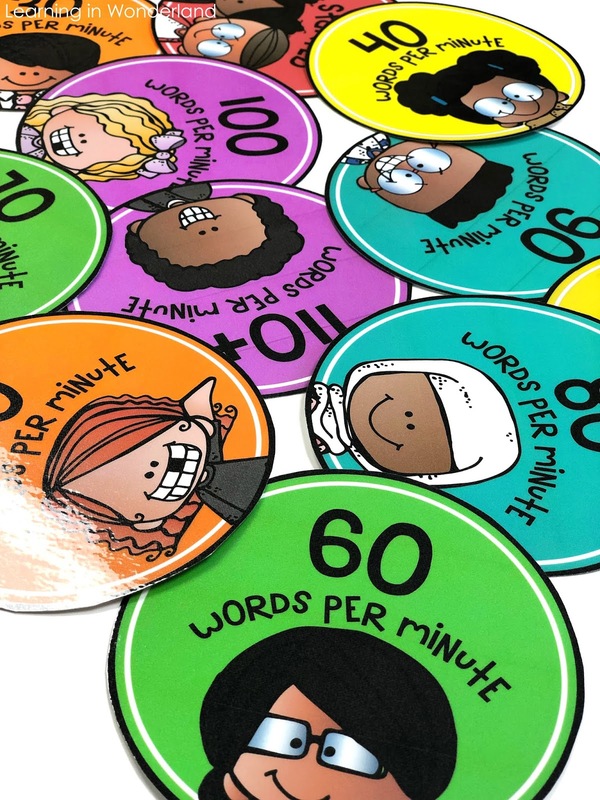 The BIG goal for my kid’s is always to get to 100 words per minute. When this happens, they are officially part of the “100” club. If your goal is different, you can call it that number club instead. The 100 club gets to eat lunch with me at least once per month. Sometimes I bring cookies for them or another small treat. It’s a big deal to them. The kids move the clips. This is so important! The kids love to see the physical movement from one number to the next. 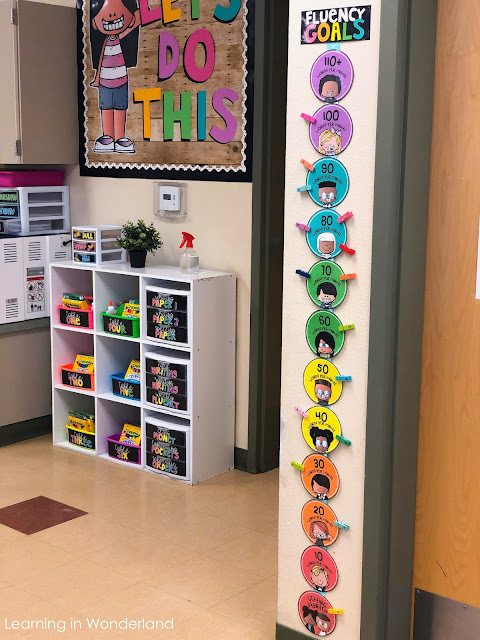 A Classroom Management Game Changer!